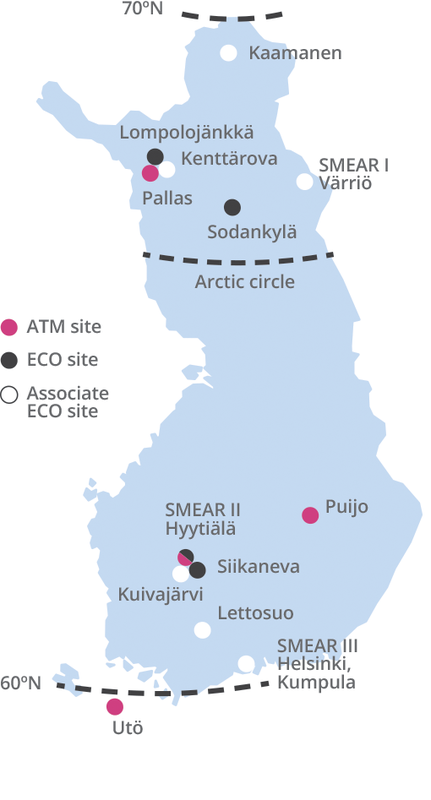 ICOS Finland network has in total 13 stations, of which 4 are Atmospheric stations, 4 Ecosystem stations, and 5 Associate Ecosystem stations. These stations provide good representatives of boreal and subarctic Eurasian environment in a transition zone from marine to continental climate. The stations are operated by the University of Helsinki (UH), Finnish Meteorological Institute (FMI) and University of Eastern Finland (UEF). You can find the detailed locations of the stations at Google maps.